A group of six say that Veterans Affairs fraudulently concealed the poor work of a podiatrist at the Togus VA hospital, causing years of needless pain. They say it withheld the findings to run out the clock on their ability to file a court challenge. 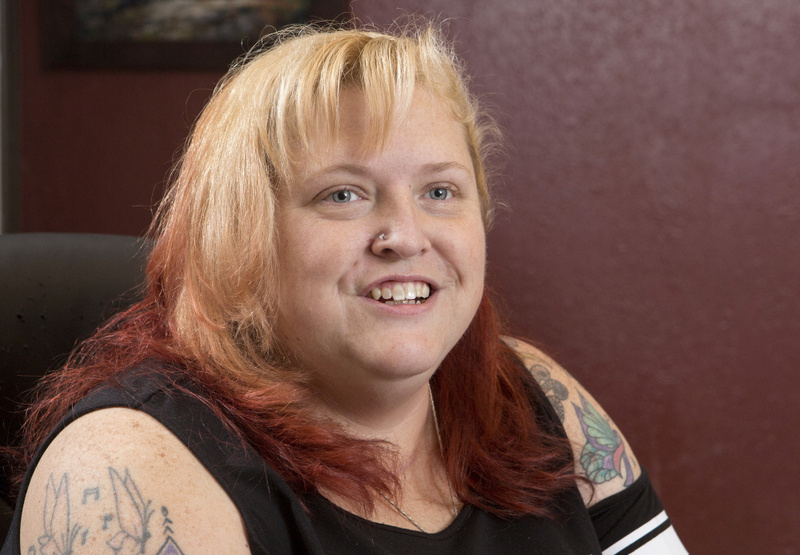 After crushing her ankle in a fall during ropes training at Fort Leonard Wood in Missouri, April Wood for years sought relief from the pain she endured after leaving the Army in 2004. Doctors with the Department of Veterans Affairs ultimately determined that the only way to get rid of her pain was to amputate her leg a few inches below the knee. But less than a year after the amputation, officials at the VA hospital in Togus, where she was initially treated, called her in to admit that her care there was substandard and the reason for her amputation was, at least in part, due to the poor care she had received at the Maine VA hospital, which has 230 doctors and serves 42,000 veterans annually. Now, Wood and five other Maine veterans are suing, claiming that the VA fraudulently concealed that a podiatrist at the VA hospital in Togus gave them substandard care, subjecting them to years of pain that hospital officials now say could have been avoided. Their case is currently before U.S. District Judge Jon D. Levy in Portland, who will decide whether the lawsuits can move forward. Federal lawyers, however, have moved to dismiss the cases, arguing that the veterans waited too long to file the suits, even though the VA has admitted that the podiatrist, Dr. Thomas Franchini, provided poor care and the VA took years to notify the veterans that there were problems in their treatment. The suits come against a backdrop of sharp criticism of the Department of Veterans Affairs over the standards of care given to veterans, including issues such as monthslong wait lists for care and mismanagement that led to veteran deaths. The first suit was filed by Wood, now 42, a Maine native now living in Missouri, who was in Army basic training in early 2004 when she fell about 20 feet from the ropes course, smashing her ankle. Franchini, who treated her after her honorable discharge and is now in private practice in New York, performed surgery on Wood twice. Neither surgery provided any relief from the pain, and she eventually underwent the amputation, performed by other surgeons in 2012. The suits filed by the five other veterans have since been combined with Wood’s and allege the same lack of effective treatment by Franchini, although no one else was subject to such a drastic remedy as Wood’s amputation. Franchini’s treatment of the other vets included plates and screws inserted into their feet and ankles – with some of the hardware allegedly incorrectly placed – joints fused improperly and bones from other parts of their bodies implanted poorly, the suits say. All of the vets said they have limited mobility, and pain in their feet, ankles and legs. In some cases, doctors outside the VA system have recommended additional procedures, but the vets fear those operations will only worsen their conditions. Jack Downs, 77, of Fairfield said doctors have told him further surgery would worsen the osteoarthritis in the foot that Franchini operated on in 2008. The Marine Corps veteran said he can feel one of the screws that Franchini inserted during that surgery. He still suffers numbness in his foot, and pain that shoots up his leg to his hip when he walks or drives. Franchini began working at Togus, the oldest veterans’ facility in the country, in 2004 after a career as a Navy doctor – in fact, one of the people suing him was treated for a different ailment by Franchini in Rhode Island while both were in the Navy. Franchini is still a licensed podiatrist, even though he resigned from the VA after the agency told him to step down or he would be fired in early 2010, according to Chris Cashour, a spokesman for the VA. In addition to substandard care, a VA investigation said it appeared that Franchini was “falsifying some medical records,” according to an affidavit filed in the veterans’ suits by Yuri Walker, the VA’s director of risk management. Franchini is now listed as one of three doctors in a private podiatry practice on Fifth Avenue in New York City. His Maine podiatrist’s license lapsed in 2011, but he has an active New York license. Records in both states show that there have been no complaints filed against him, although Cashour said the VA has “broad authority” to report doctors in cases where care was substandard or caused injuries. Cashour would not say whether the VA reported Franchini to medical boards, citing privacy laws. In most cases in Maine and New York, complaints that have not been validated are not recorded in state licensing records available to the public. Through a representative of his office in New York, Franchini said he would not comment on the suits, and the government, not Franchini, is named as the defendant. However, in a 2016 post on his personal blog, he complained that the review of his performance at Togus came about after one patient complained, although the VA said it was an official with the hospital who raised concerns about the doctor’s care. That complaint, Franchini said, led to a “second wave” in which VA officials reviewed the care for more than 100 of his patients. He alleged the VA review only found that his record-keeping was deficient, not his surgical techniques or patient care, although the VA called in dozens of patients in January 2013 to admit that the care provided by Franchini was subpar. Letters were sent at that time to Franchini’s patients in what the VA terms a “large-scale disclosure event,” but Franchini described the complaints as unfounded. In an affidavit filed in one of the suits last week, Franchini again denied that his care was subpar and said he tried to give his patients “accurate and truthful information” about their conditions and the results of his surgical procedures. Vets and politicians have been critical of the quality of the care provided by the VA nationwide. The criticisms include allegations of mismanagement that led to veteran deaths, wait times as long as six months for VA hospital care, and VA officials’ attempts to hide substandard care. In 2014, auditors discovered that employees at 110 VA facilities kept secret waiting lists to hide the delays veterans faced when seeking care. In July, Veterans Affairs Secretary David J. Shulkin fired two top officials at the Manchester, New Hampshire, VA Medical Center and ordered a review of the hospital. Legislators and advocates have since pushed to reform the VA medical system, including changes that would make it easier for vets to see doctors outside the VA system or go to hospitals nearer to their homes. The VA began examining the care it provided in recent years and rated the hospitals it ran on the quality of care offered. A critical report in 2015 commissioned by the Office of the Inspector General in the U.S. Department of Veterans Affairs found scheduling problems at Togus mirroring those at veterans hospitals nationwide, saying employees didn’t enter appointment requests for some patients who weren’t willing to be seen within 14 days, the VA benchmark for a comprehensive examination for first-time patients. Employees were directed at times not to log referrals in their computerized system. In 2016, care at Togus was rated a 2 on a 5-point scale, with 1 the lowest rank and 5 the highest. The rankings used some of the same variables used to evaluate other hospitals, such as surveys of patient experiences and outcomes, complications, readmissions and deaths, as well as some measures more geared toward VA hospitals, such as access to care and the quality of mental health care. The VA rankings said Togus has made a “large improvement” from 2015, the baseline year for the rankings. “We are proud of our improvements in all of our care programs, including podiatry,” said Ryan Lilly, director of the VA Maine Healthcare system. The suits, however, allege that Franchini provided substandard care from early on in his tenure at the hospital. Andy Korsiak, 58, who settled in Maine after he was assigned to Brunswick Naval Air Station, said he suffered for years from a bone spur that was pressing into his Achilles tendon. He went to Togus, where Franchini recommended surgery. The day of the operation, Korsiak said, Franchini decided at the last second to also remove a second bone spur lower on his heel that had not been causing any problems. “We’re going to be in there, why don’t we do that as well?” Korsiak said he was told by Franchini. He never saw Franchini again after the surgery in 2007, Korsiak said. A nurse removed his stitches and essentially sent him on his way. Korsiak, who lives in Troy, said he still deals with pain and problems resulting from the surgery. A VA doctor in Massachusetts found bone fragments left behind in his ankle and heel, Korsiak said, but “there was absolute silence from the VA” until six years later, when the VA wrote to say there may have been problems with his care by Franchini and asked him to return to Togus to discuss his case. The other cases contain similar accusations, but the most egregious appears to be Wood’s. Wood said joining the Army was a lifelong dream. But she reluctantly accepted an honorable discharge in September 2004 when the Army determined that her effectiveness as a soldier would be reduced because of the injuries she suffered in the fall. After her discharge, she went to Togus to deal with continuing problems in her ankle and was assigned to Franchini for care. “He said he could fix it,” she said of her ankle, and she believed him. Franchini operated to fuse the ankle joint to reduce the movement of the joint, surgery that took four hours instead of the two she had been told to expect. A metal plate and eight screws were inserted into her ankle, she said, but after the surgery, Franchini told Wood and her family said that he wasn’t sure of a good outcome because she had “mushy bones,” Wood said. When the pain didn’t subside, Franchini operated again to insert more screws to immobilize the joint. When that failed to provide relief, Wood consulted VA doctors in Massachusetts, who decided to remove all the hardware Franchini had inserted and put in a piece of bone from a cadaver and more screws. But in 2012, another VA doctor performed the amputation after the determination was made that it was the only way to alleviate the constant pain Wood was experiencing. In early 2013, she was called back to Togus to discuss her case, where officials told her that Franchini’s care was substandard. Ultimately, the VA determined that her care had resulted in a full disability. Wood said she no longer works outside her home, but makes a few hundred dollars a year writing adult romance books. Timothy Mansir, now 36, injured his foot after falling while in Iraq with the Marine Corps. After he was discharged in 2007, he went to the VA, where Franchini diagnosed an unstable ankle and performed an ankle reconstruction in 2008. Mansir has since had additional surgeries by doctors outside the VA system, but still experiences pain and said he feels “hurt and betrayed” by the system. Mansir said he worked as a commercial electrician and then a testing technician, but he lost both jobs when the pain interfered with his work. He still has a severe limp, has to take frequent breaks when he walks and lives with his wife on Social Security and military disability. 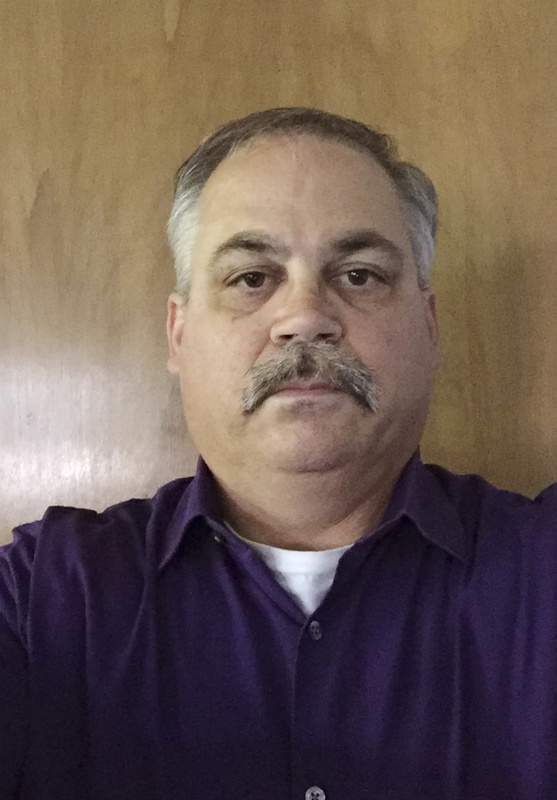 Mark Prescott said pain that developed in his regular runs led him to seek help, initially while on active duty in the Navy and later as a veteran. He said he had always been a runner, which continued after he joined the Navy out of high school in 1983. But in the late 1990s, Prescott started experiencing pain in his ankle and learned he had broken a bone in the joint years earlier and never had it treated. He had surgery twice while still on active duty and then was treated at Togus after retiring. “He had a very good bedside manner,” Prescott said of Franchini. “He was always available to talk to and seemed like a guy you wanted to hang out with.” Prescott noted, however, that Franchini never seemed to write anything down. Franchini operated on Prescott twice, transplanting a piece of bone taken from his foot into his ankle to stabilize it, but Prescott only experienced more pain. Franchini gave him a brace, Prescott said, but he was unable to use it because he had to tighten it on the inside of his ankle, which caused too much pain. Still, Franchini told him he was “progressing normally,” the suit alleges. Prescott said he never suspected anything might be amiss until VA officials told him that he might not have been treated well. A doctor from the VA in Boston showed him an X-ray that, he said, indicated that Franchini had overly tightened the piece of transplanted bone, creating a ridge that caused his pain, Prescott said. Like the others, Prescott was told he could file a claim with the VA that might result in a finding of a greater disability with an increased pension and guarantee of care going forward. That claim was rejected. In his suit, veteran Kenneth Myrick of South Portland said Franchini operated on his ankle at Togus in 2005 but he continued to experience “severe pain” in his left leg after the procedure despite additional surgeries at the VA in Boston. The VA told him in 2013 that the original surgery by Franchini resulted in “nerve entrapment,” which Franchini and other doctors failed to see in examinations after the original surgery. Franchini’s original surgery was “substandard,” the VA told Myrick. Both Myrick and his lawyer, David Kreisler, have declined to comment on the suit. Downs, the Marine from Fairfield, said his issues with the care provided by the VA go beyond the surgery Franchini performed on his foot in 2008. Downs, who served in the Marine Corps for two years in the late 1950s, said the top of his foot had collapsed. Franchini told him it could be fixed by fusing a bone and operated in 2008. Downs had follow-up appointments during which X-rays and scans were taken, but when Downs and his wife moved to Florida, Franchini didn’t contact him and never got in touch with VA doctors in Florida. According to his suit, the X-rays and scans indicated that the fusion had not succeeded and that a screw might have been improperly placed, but Downs was never told about those findings. After the couple moved back to Maine, Togus officials told Downs that his care may have been inadequate and an outside doctor told him that the metal plate Franchini put in was too small to allow the bones to fuse. Now, Downs – who used to walk 5 miles a day – suffers numbness in his foot when he tries to walk. If he drives, the pain starts in his foot and then travels up his leg to his hip. Downs said he thinks Franchini never ordered physical therapy for him because he knew the therapists would discover that the surgery wasn’t right. After the surgery, Downs said, he believes the VA dragged its feet on informing him and other Franchini patients that their care might was substandard in order to run out the clock on time limits for filing a suit. Levy, the judge over the ongoing cases, ruled in February 2016 that Maine’s three-year time on malpractice suits is a “statute of repose,” meaning the window of time on when the plaintiffs can file suit starts from when the alleged malpractice occurred. For most of the vets, their surgeries were performed in the mid- or late-2000s. Attorneys for the veterans argued that the VA should be tried under a federal malpractice law with a two-year limit, but a clock that begins to run when the patients discover they may have received substandard care. The six vets were told by Togus officials in January 2013 that their care might have been substandard and most filed their suits within a year. In his ruling in early 2016, however, Levy allowed the veterans’ lawyers to pursue a claim that the VA had “fraudulently concealed” the findings of poor care, which would allow the suits to move ahead, regardless of the time limits. He’s expected to rule in October or November. Togus officials have admitted that they took a long time to disclose the findings of their investigation into Franchini’s cases, but deny that they did so on purpose to limit the veterans’ ability to sue. Dr. Timothy Richardson, the former chief of staff at Togus, said he ordered another doctor to review Franchini’s cases after a compensation and pension examiner raised concerns in early 2010. In an affidavit filed in the case, Richardson – who was demoted as chief of staff over the length of time it took to review the Franchini cases – said the pace of the review and notification of patients was “admittedly slow” and said he should have devoted more resources to investigating Franchini’s cases. But it wasn’t a ruse, he said. Walker, the VA’s director of risk management who was involved in the Franchini investigation, also denied that the review was deliberately delayed. U.S. attorneys in Portland who are defending the government in the suit said they had no comment because the case is in active litigation. “That’s just so frustrating and ridiculous,” said Celine Boyle, of the Shaheen and Gordon law firm, who represents Korsiak, Downs and Mansir. Both Lipman and Boyle indicated that they will likely file appeals if Levy’s next ruling, on the fraudulent concealment claims, goes against them. In that case, they would likely appeal the ruling that the time limit is a statute of repose and that the state law, rather than the federal statute, should be followed in determining filing deadlines.